The MSI X470 Gaming Plus is equipped with AMD's X470 chipset and optimised for use with Ryzen 2000- series "Pinnacle Ridge" CPUs. This high-end chipset supports up to 64 GB RAM at a guaranteed clock frequency of 2.933 Megahertz, clock frequencies that are markedly higher when paired with OC RAM kits. Additionally, the X470 chipset is compatible with all of the latest 2nd generation features of Ryzen processors features as well as benefiting from a variety of optimisations like the new XFR2 overclocking technology. The MSI X470 Gaming Plus is an ATX-format motherboard that comes with a fast PCI-Express 3.0 slot rated for full x16 speeds, one x8 slot as well as a further PCI-Express 2.0 slot rated for x4speeds. The four RAM slots can hold 64 GB of DDR4 RAM at frequencies of up to 2.933 Megahertz, although frequencies of up to 3.466 MHz are possible with overclocking. The I/O panel of the MSI X470 Gaming Pro MSI X470 Gaming Plus features two USB 3.1 Type A connectors. USB 3.1 aka USB 3.1 Gen 2 achieves speeds of up to 10 Gbit/s per port and USB ports utilising this standard support functions like quick charging for smartphones and tablets. Furthermore there is also a PS/2 slot which can be used for a mouse or keyboard. 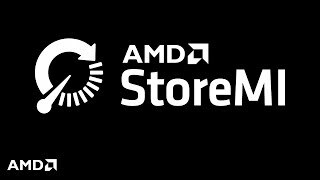 More links for "X470 Gaming Plus AMD X470 (Socket AM4) DDR4 ATX Motherboard"